A$AP Mob member A$AP Ant continues to crank out the freestyles. Following a stream and video for his "O.G. Bobby Johnson" track, the performer has let loose a new quickie called "Zaytoven." Utilizing the beat for Gucci Mane's 2010 classic "First Day Out," A$AP Ant is quick to pay tribute, opening the song with a couple obligatory "free Gucci" statements. Then he makes the most of the synth-heavy track, delivering two and a half minutes worth of bars. 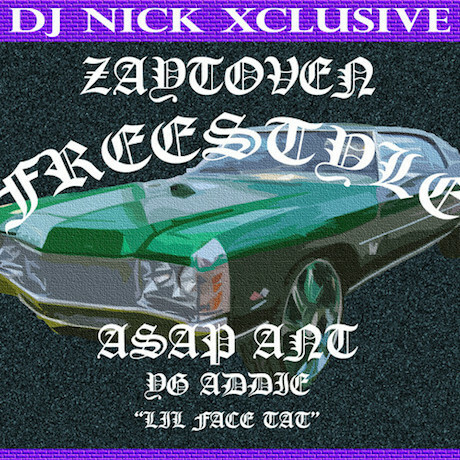 Check out A$AP Ant's "Zaytoven" below.